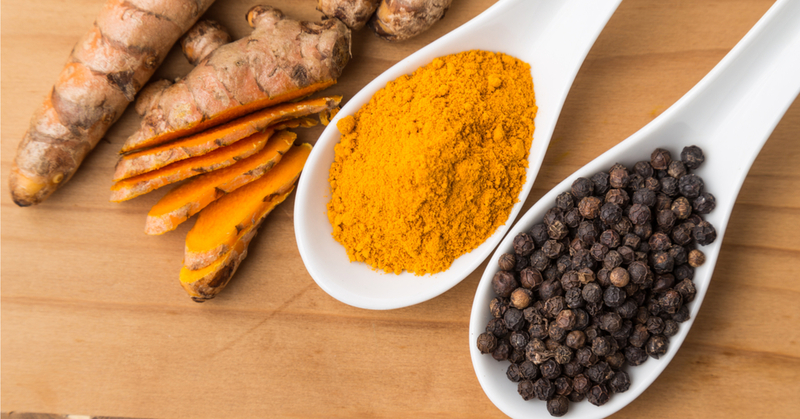 The Life Extension Blog: Does Curcumin Require Black Pepper for Absorption? Does Curcumin Require Black Pepper for Absorption? When choosing a turmeric supplement, one would want to ensure that it is standardized to guarantee a certain amount of curcumin per capsule in order to obtain the health benefits of the root. The dilemma is that historically, curcumin has been poorly absorbed when taken as a supplement. This is where piperine comes into play. Piperine is the major biologically active substance found in black pepper. Although research has indeed shown that piperine can assist with the absorption of curcumin, is it really the most efficient and safest option? At high doses, piperine may affect the concentrations of P-glycoprotein and CYP3A4 substrates in humans.2 CYP3A4, also known as Cytochrome P450, is an important enzyme in the body, mainly found in the liver and in the intestine. CYP3A4 helps the body to metabolize and remove toxins or drugs and in some cases activate or deactivate a drug. You may be familiar with the fact that people taking certain medications need to use caution when consuming grapefruit.3 This is because some substances, such as grapefruit, interfere with the action of CYP3A4. These substances will therefore either amplify or weaken the action of those drugs that are modified by CYP3A4. In the case of piperine, it is a CYP3A4 inhibitor. However, based on safety data, 15 mg of piperine is a safe dose and is unlikely to be a concern for most* people.2 In fact, it can be beneficial, as we will explain below. The essential oils of the turmeric root (turmerones) have been shown to greatly enhance the absorption and bioavailability of curcumin.8 Once absorbed, the curcumin then needs to be available for use by our cells. Turmerones are lipophilic and enhance curcumin’s transport into the intestinal cells. Phospholipids are added to further assist with the absorption and bioavailability of curcumin to our cells. Formulations are available with or without the phospholipids. What is of great importance is choosing the curcumin and turmerone complex known as BCM-95®. So, does curcumin require black pepper for absorption? The answer is no. In order to get the most out of this valuable supplement, it is important to select one that has proven high-absorption characteristics. While piperine from black pepper has shown itself to be valuable, the research shows that turmerones are superior not only for the absorption of curcumin but also to provide synergistic health benefits. BCM-95® is a registered trademark of Dolcas-Biotech, LLC. U.S. Patent Nos. 7,883,728, 7,736,679 and 7,879,373.